When you are busy pureeing or mashing something and the recipe tells you to use a food mill or a ricer, what do you do if you don’t have one? I have been stuck many a time with this problem. Creating the absolute smoothest mashed potatoes you have ever seen. Homemade tomato soups and sauces to die for. Even baby food back in the day when the kids where young. All of these are prime examples of when you might want to use (or be told to use) a food mill. My mum has her “ricer” out all the time, and she even offered to lend it to me. But then I thought to myself, there must be some alternatives and even direct substitutes when it comes to food mills, right? Of course there are! And depending on what you are trying to produce, and how much time you have, there are quite a few options. Not every problem requires the same tool, and not every food mill requirement has the same substitute. It all depends on what you are trying to make. If you are trying to mash or puree something the following options might be your best bet. If you are mashing a potato, there is a simple device you can use. Of course, you already have one in the drawer, right? So why not use it! This is the first step in crushing any kind of vegetable for a mash (or even a puree). After boiling to a point of adequate softness, just leave it in the pot and take to it with the masher. If there is skin to remove, and you have not done that as of yet, it’s time to do so. Because the end result will be a very soft mash. If you want to take things a step further and get a really fine puree, push things through a sieve with a large slightly curved spoon. Slowly spooning in more and more as the material passes through the sieve. Be on the lookout for chunky bits or things you do not want to pass through the sieve. For example, seeds or leftover skin. If that is the case, pick them out, or empty the sieve before adding more material, once the pulp you wanted to go through is done. 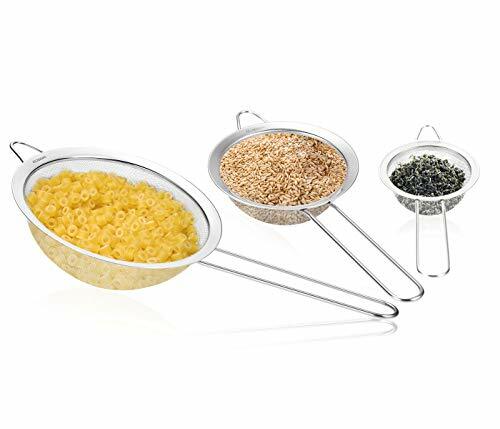 There are also a variety of sieve mesh fineness available, so have a think about how fine you want your puree and whether you already have that sieve to match. They are quite cheap, and super useful items to have in the kitchen, so never wasted if you buy another one. There are different names for this handy kitchen tool. I think the more technical name is immersion blender (because you immerse it in a deep cup filled with the stuff you want to blend). The more common name for me is the stick blender, because I stick it into the cup to blend. The limitation of this kind of blender is volume. Normally, you put it in a deep cup, so that in itself limits how much you can do at once. Of course, you can always use a bigger cup, but you will have problems with consistency and getting everything blended because the blade is small and at the tip of the blender. That is why it comes with it’s own specific size cup. Some hand blenders also come with a set of smaller blender pots and attachments which might give you more options. But usually they just don’t have the volume of a large blender or food processor. So, I would stick with smaller volumes for this. I often use my for quick afternoon smoothies myself, but it also works for mashes and purees, provided you are not having to remove anything (like skin or seeds). Then you might have to combine it with the sieve too! 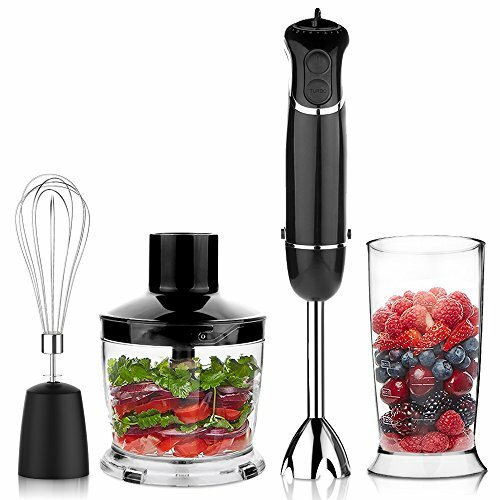 If you have a lot of liquid in what you are mixing, then a blender is also an option worth considering. Because the blade is right down the bottom, it will not work well for very thick and heavy mixes. 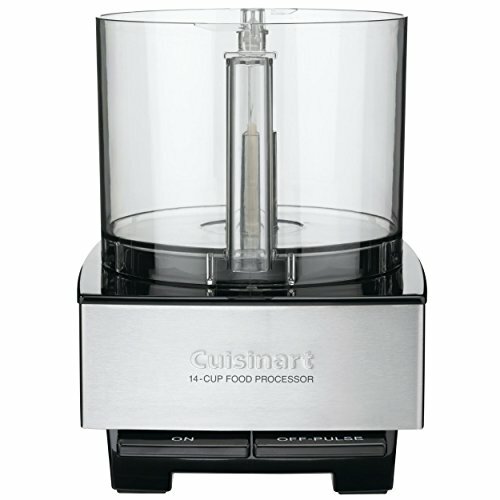 For that I would always go with a food processor, which I will show you below. But, if you have a blender for your smoothies or summer fruit drinks, then it might be worth giving it a shot for that small portion of soup or liquid-filled tomato puree. I personally don’t ever go this route, but when needs must, you try what you have in the kitchen, right? When I am making things like soups or even hummus my food processor is my best friend. It makes a mashed pulp or liquid of almost anything in no time. From boiled veggies to cans of chick peas, the fast whirring blades rip anything to shreds. 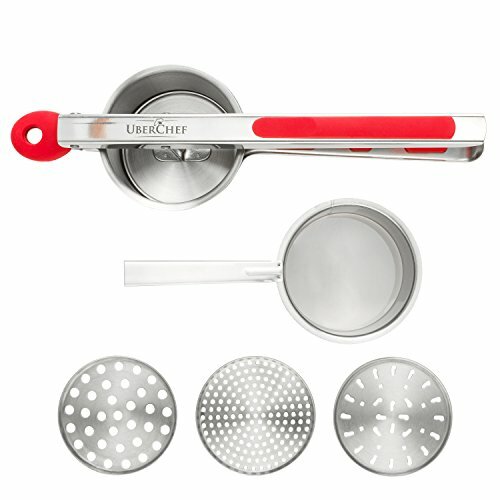 And it comes with a variety of attachments if you need to speed chop or grate raw vegetables as well. Of course, if you are making a huge batch of soup for a few weeks or freezing, then you will still have to do things in batches. But nothing compares to the small size of the immersion blender or the slow speed with which you will have to suffer when mashing by hand. The consistency will not match a sieve to be sure, so if you are really trying to make the smoothest potato mash man has ever seen, then this is not the way to do it. We will get to that option next. But it’s going to save you a lot of work on most kitchen mashing, pureeing, blending tasks and you will be forever thankful you bought and or used the one you have! Because a food mill is just a big ol’ ricer in the end, it is no surprise that a potato ricer appears as an option. My biggest beef with this alternative is that it just does not have the capacity to deal with huge quantities. However, if you have one in the drawer, and you are willing to refill it over and over, the results can be fantastic and smooth. You can also use this for other similarly textured veggies, so don’t feel restricted to just potato. The holes can be quite small on some models though, so you want to be careful with how clean the contents are going in (no skin, no seeds etc).